PARIS, France – Delays by international donors in providing money promised to fight Ebola may have allowed the disease to spread, driving up the amount of the final bill, a study said Wednesday, February 4. The analysis, conducted by Karen Grepin, a specialist in health policy at New York University, tracked both requests for funding by the UN's World Health Organization as the crisis escalated, and when payment of donations pledged was actually made. "Substantial donor support did not reach affected countries until October, more than 6 months after WHO was alerted to the outbreak," the study said. "These delays in disbursements of funding may have contributed to spread of the virus and could have increased financial needs," said the paper, published online in the BMJmedical journal. After being informed by Guinea on March 23 last year of a "rapidly evolving" Ebola outbreak, WHO sent the West African country an initial batch of protective equipment and medical supplies. In early April, WHO appealed for $4.8 million (four million euros) in aid, a request that was swiftly met and exceeded by the international community. By August, the amount needed for controlling the outbreak had risen to $71 million. Later it was announced $490 million was required to support a six- to nine-month containment "roadmap" – an estimate that surged further still to $600 million. On September 16, meantime, the UN Office for the Coordination of Humanitarian Affairs (OCHA) calculated total needs at nearly $1 billion. By mid-November, after the creation of the UN Mission for Ebola Emergency Response, the official request made for funding was $1.5 billion. However, Grepin said, "it took until at least mid-October before the affected countries received $500 million and until at least December before they got $1 billion." As at December 31, donors had pledged a total of $2.89 billion, of which only $1.09 billion was actually paid. "The problem has not been the generosity of the donors, but that the resources have not been deployed rapidly enough," said Grepin. The lesson from that, she noted, is that the world needs a mechanism for a far quicker disbursement of money when Ebola and other dramatic health threats suddenly emerge. Her figures comes from the official OCHA donation register, which does not take into account domestic resources, or donations given in kind or in the form of loans. Analysis of the register found that, at the turn of 2014, the United States was the largest donor, with over $900 million in pledges, of which 95% had been funded. Second was Britain, with pledges of $307 million, and third was the World Bank's $230 million. 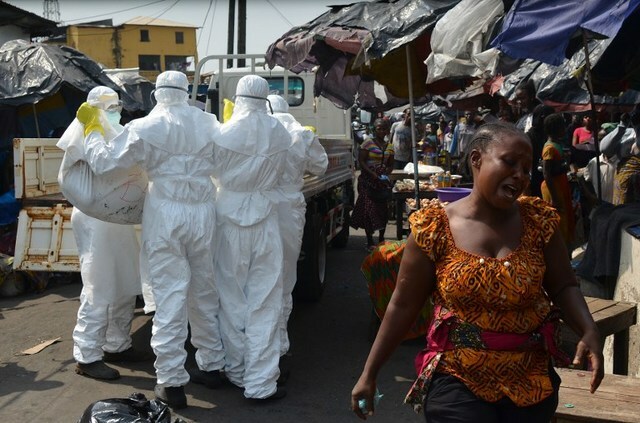 According to the latest WHO toll, the epidemic has left 8,810 dead, mainly in Guinea, Liberia and Sierra Leone, out of more than 22,000 infections registered.